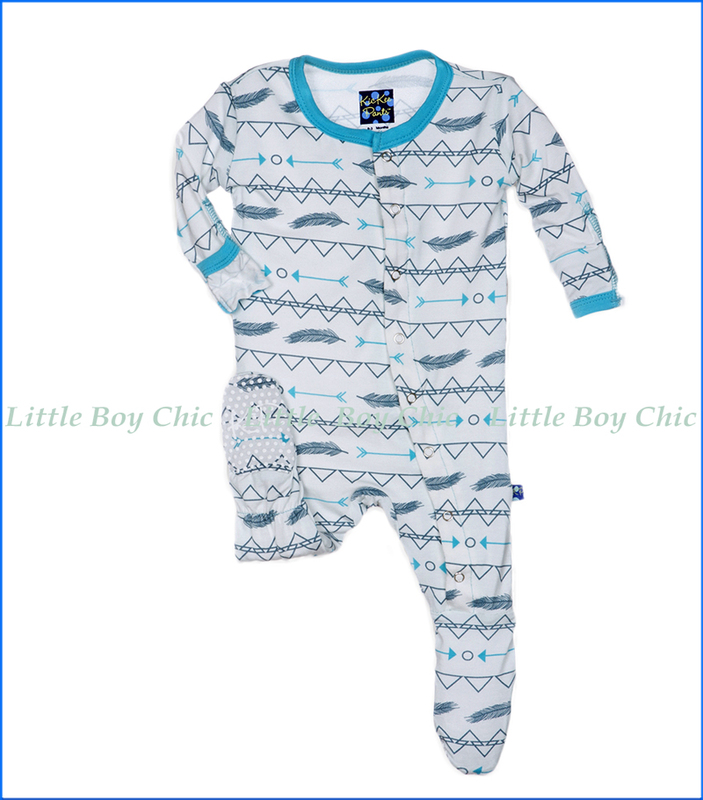 This super soft and comfy footie is sure to be one of his faves in a print paying homage to southwestern themes. Features flip paws to cover cold hands and prevent scratching. The inside of the foot is lined with super soft fleece and the bottom has non-slip grip pads. Made of super soft, breathable, and eco friendly bamboo fabric that feels cooler in hot weather and warmer in cold. Soft and delicate hand feel that is specific to bamboo fabric. A tad of stretch for added comfort.